Egypt's Minister of Finance Mohamed Maait told MPs Sunday that the IMF’s 12-billion dollar loan was divided into six tranches. “The IMF’s reports themselves were even keen ahead of each new tranche to declare that it was a great pride that it and the Egyptian government had jointly implemented one of the most successful economic reform programmes in the world,” said Maait. “While bonds issued by one Arab Gulf country were able to generate between $3.5 and $4 billion in only one day, those of Egypt were able to generate $3 billion in just half an hour, $15 billion by 3pm, and $21.5 billion by 4pm,” said Maait. 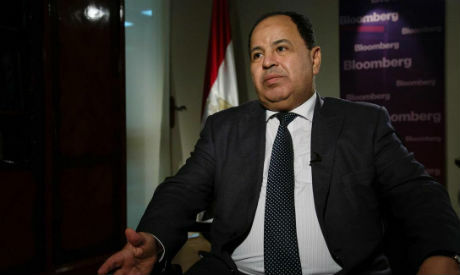 According to Maait, the economic reform programme was mainly drafted by the Egyptian government in coordination with the IMF. Maait said “it is the strong political will of the Egyptian people, leadership and government that have largely led to the success of the programme." According to Maeet, while it was initially expected that the implementation of the programme could secure an initial surplus of EGP 15 billion at the end of 2018, it actually led to generating EGP 21 billion. “Besides, there was a rise of 60 percent in investments, not to mention that tax revenues increased by EGP 4 billion,” Maait said.